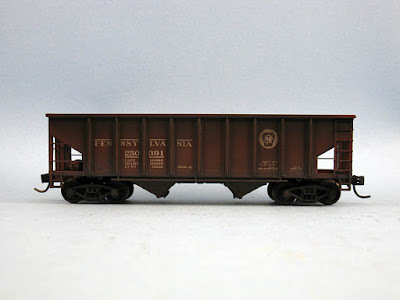 I completed a set of two Walthers Trainline 2-bay coal hoppers. Both were originally painted in Southern Pacific scheme and were repainted and relettered to PRR using CDS Lettering dry transfer. Also, all cast on grabirons were removed and replaced with thin 0,25mm styrene stripes. 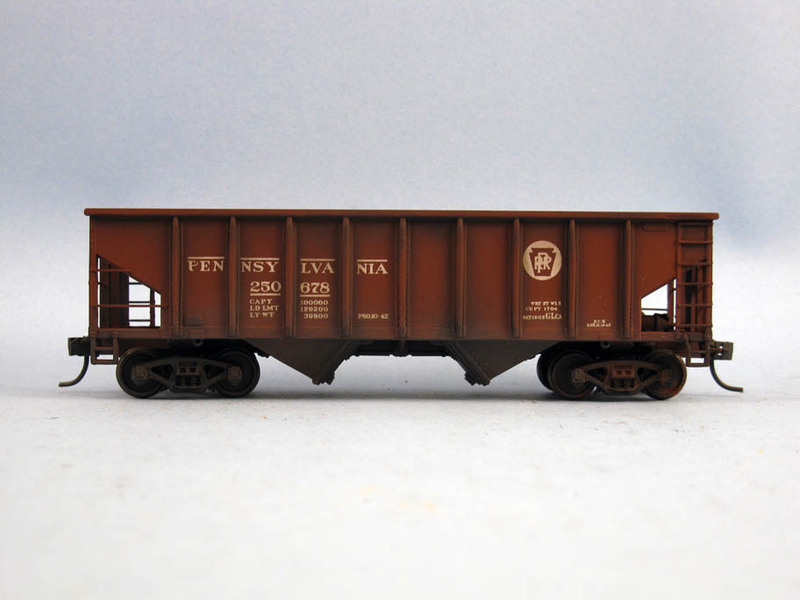 Weathering is a mix of powders and light alcohol based washes. Simple, but it does the job. I made sure the weathering wasn't exactly identical on both car to better represent variety among the fleet.